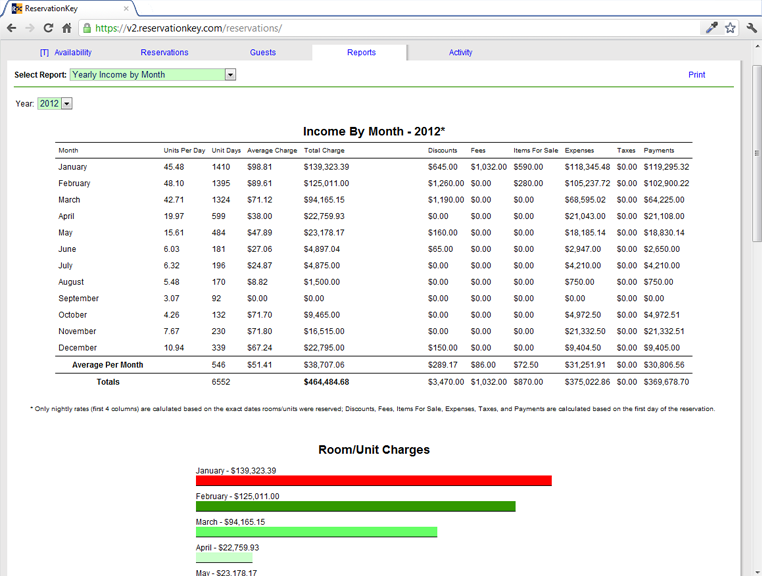 Quickly see how your revenue compares to past years or months, plus lots more reports. More than 20 reports to select from. Reports for all your needs. Including availability, housekeeping, occupancy, income, expense, commissions, taxes, payments, items for sale, and owner's report. Many reports can be opened directly from a link. No need to log into ReservatonKey if you have the link. Great for giving a cleaning report to house keeper. Or an availability report to a property owner. Select which units to show on many of the reports. Great for seeing statistics for only certain units. 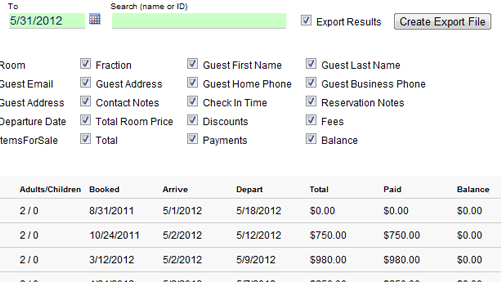 Or for creating reports for separate properties. Export report data to CSV files. Many of the reports have a CSV export option. 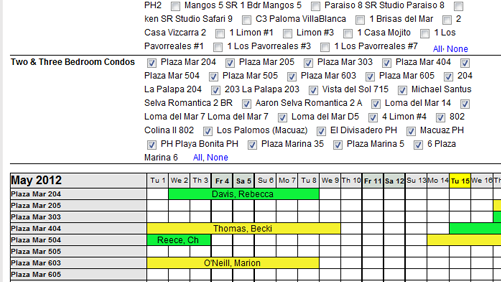 On the reservation report, select which columns to export. 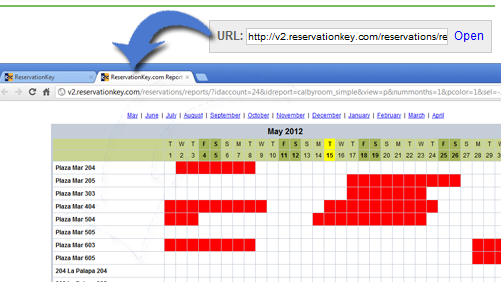 You're on number 6 of 24 reasons to use ReservationKey. "This is great software!!!!! Loving it… Some of our staff have been shown and they have said, quote, 'wow…much better then what we are using' 'looking forward to using it' 'Looks purdy!'"